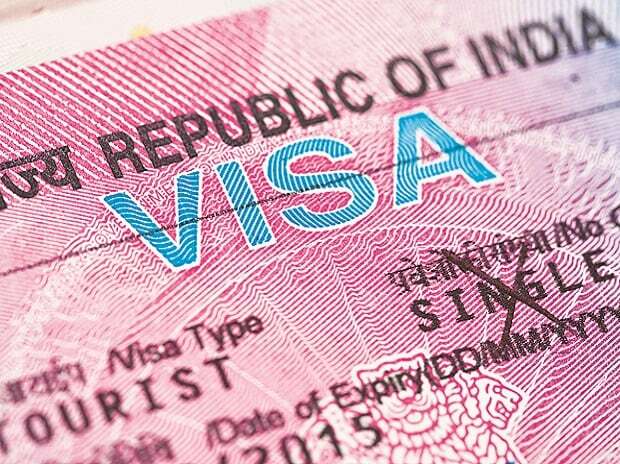 Government think tank NITI Aayog has proposed that the validity period of e-Visas be increased to 10 years and the number of annual visits for those on e-medical visa be enhanced to attract more tourists in the country. The validity of e-Visa (except e-Conference visa) is 60 days from the date of arrival in India. In case of e-Conference visa, the validity is 30 days. Double entry is permitted on e-Tourist visa and e-Business visa. Triple entry is permitted on e-Medical visa and e-Medical Attendant visa. Only single entry is permitted on e-Conference visa. A total of 1.8 million foreigners visited India this year within the first 10 months on e-Visa -- four times more than the 447,000 figure registered in 2015 and the highest so far. The maximum number of visitors who availed this facility were from the UK, the US, China, France and Germany, according to official figures.